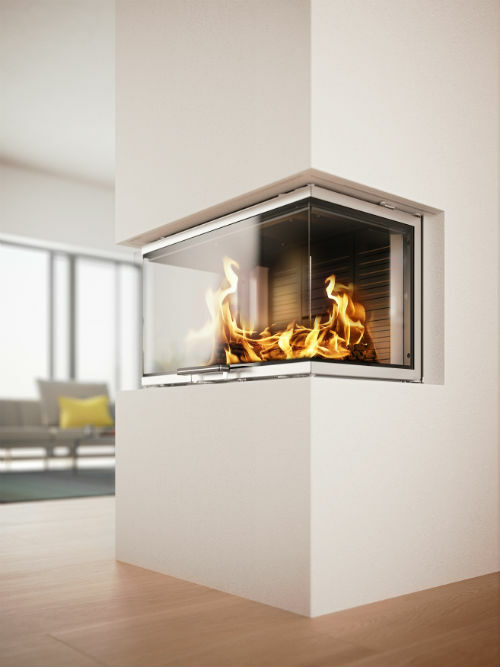 This insert stove with its all glass three sided door, is the closest thing you will get to an invisible stove; since all you see is the fire. 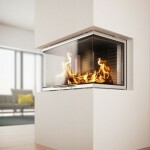 The fire has a sliding door with stainless steel frame and a dark-stained oak handle providing the finishing touch. As this is one of the latest products from the RAIS range technical details will follow shortly. DEFRA Smoke Control Exempt: T.B.A.